*SigmaTech™ is available in chrome and copper brushes only. This is a natural bristles brush with a rounded edges. It has really soft but dense bristles great for placing even loose shadows without much fall out. This brush is designed to apply eye shade hence have 0.25 inches of hairs which makes it ideal for different uses apart from just applying eye shade. It works great as a blender and smudging brush. The dense bristles of this brush picks up eye shadow very well and blends amazingly without any extra effort. I also use it to apply highlighter on my face as well as for contouring my nose. Overall this Sigma Beauty E55 Eye Shading Brush is very sturdy and picks up eye shadow very well and blends effortlessly. . This small bristled thing With slim features and tiny bristles is my favorite go to brush! and made its place in my makeup bag for good. If you want effortless yet flawless and professional eye look, you need to pick this brush. 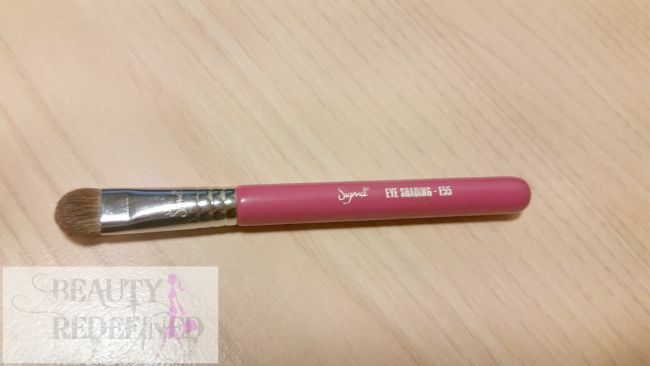 Sigma Beauty E55 Eye shading Brush is available online at Sigma Beauty Website for $14.00. You can check complete variety of Sigma Brushes HERE. Have you tried Sigma Brushes...?Which one is your favorite ? What do you think of this one..? I love the sound of this! I'm always hearing good things about Sigma brushes. Great review! I'm waiting to get my hands on this one. Excited about it. 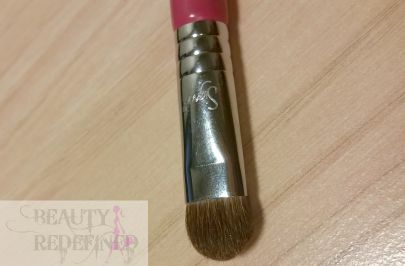 Thanks for such an amazing detail review on this amazing brush by sigma. I use it all the time. It is such a gem. 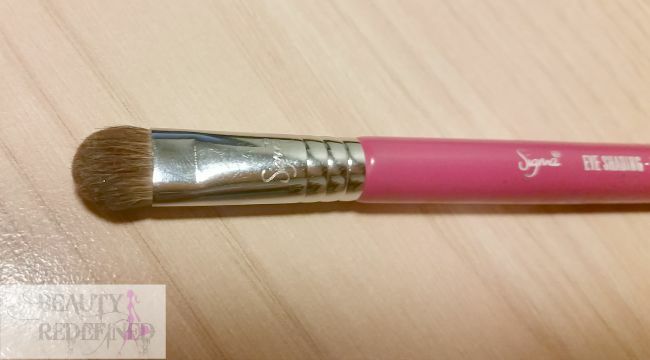 I have read so many good review about this brush, glad you own it and thanks for the review!